This is one of my favorite Christmas crafts from last year; it’s super cute and super easy to make! If you’re looking for a quick and easy Christmas craft, look no further! 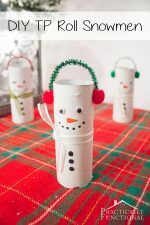 This adorable tin can snowman is not only a great way to recycle some leftover tin cans, but it’s a really fun project and it’s fast and simple to put together! The idea actually came from my husband! His mom made Christmas decorations out of tin cans when he was young, so we decided this would be a great project to try! Start by painting all of your cans white. I used spray paint and it was quick and covered well, but regular paint with a paintbrush will work just fine too. 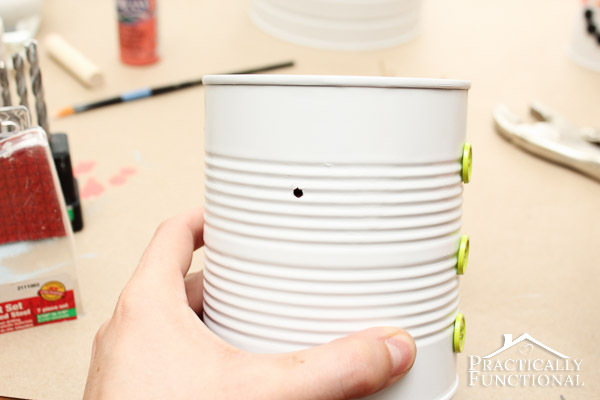 Be sure to paint the entire outside of the can, including the bottom. Start with the smallest can; this will be the head. I found the two black buttons and the carrot nose button set at Joann’s. Turn your tin can upside-down so the opening is on the bottom. Using hot glue, attach the buttons for the eyes, nose, and mouth. Once the glue is dry, paint on small pink circles above the mouth to make cheeks. I found thick, brown floral wire which already looked fairly twig-like. But I wanted my snowman’s arms to have “fingers”. I used wire cutters to cut a few bits off the end of the wire, and then used hot glue to re-attach them to make hands. The two larger cans are going to be the body of the snowman. 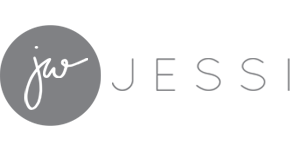 The middle-sized can is the upper body and the largest can is the lower body. 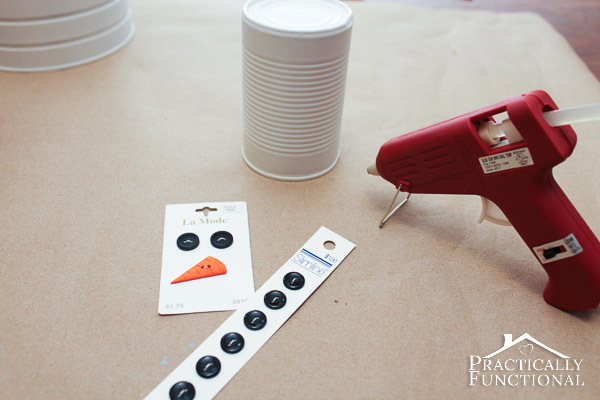 Start by adding a few more buttons to the two larger cans for the snowman’s coat. I put three on the middle-sized can and two up near the top of the largest can. 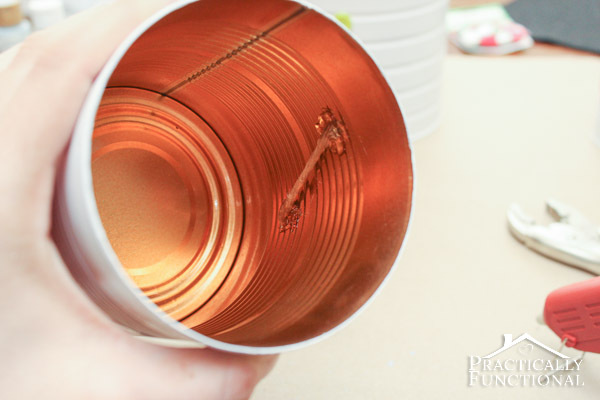 Before you start gluing, make sure the openings of the cans face down! Next drill holes on either side of the middle-sized can for the arms. I was a bit worried I would smush the can by drilling the holes, but if you’re using tin cans, they seem to be strong enough to withstand a bit of pressure from the drill. Don’t worry if the hole you drill is bigger than the arms; you can fill it with hot glue later. Stick the arms in through the hole and adjust their length as necessary. Reach inside the can and bend the end of the wire flat against the can. Hot glue it in place. 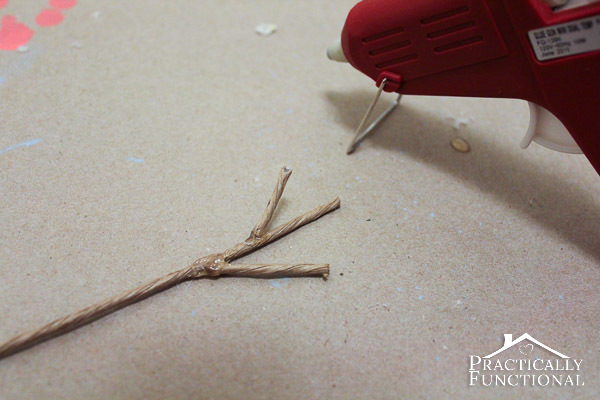 Once the glue is dry, bend the arms outside the can to whatever shape you’d like. 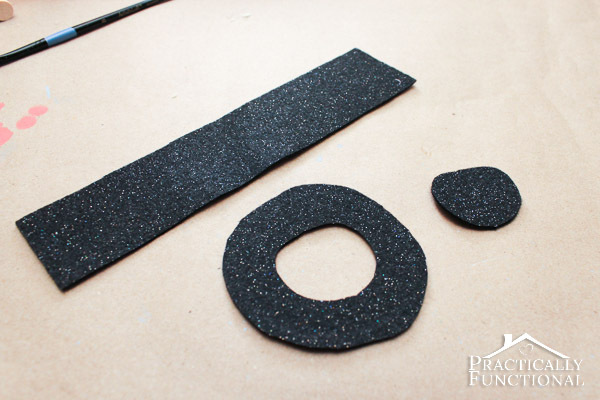 To make the hat, cut out two circles from the black felt, one larger one for the brim and one smaller one for the top. (You can also just cut one large circle and then cut the smaller circle out from the inside like I did below.) You also need a rectangle of felt to give the hat it’s height. 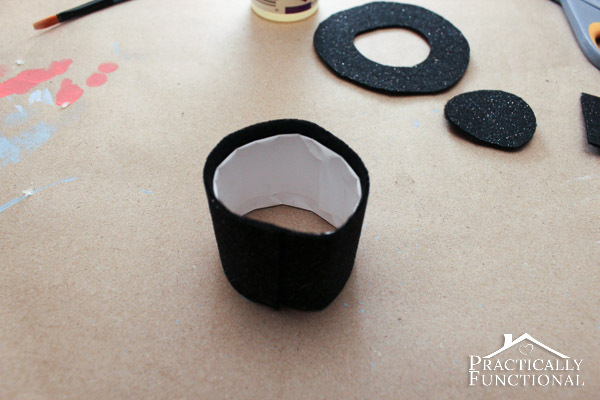 Fold up some printer paper into a ring, and glue the rectangle of felt to the outside. This will help the hat keep its shape. 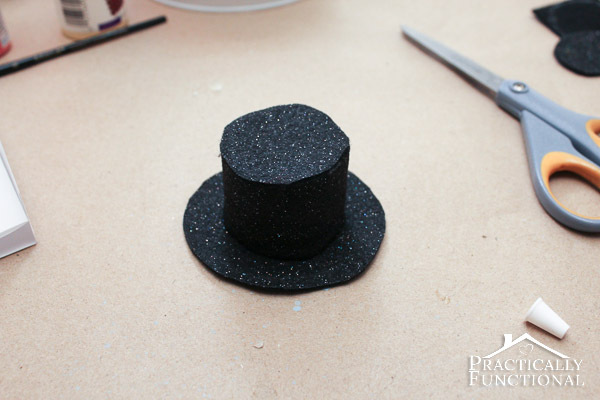 Once you have a ring of felt, glue the top of the hat to the top of the ring, and glue the brim to the bottom. 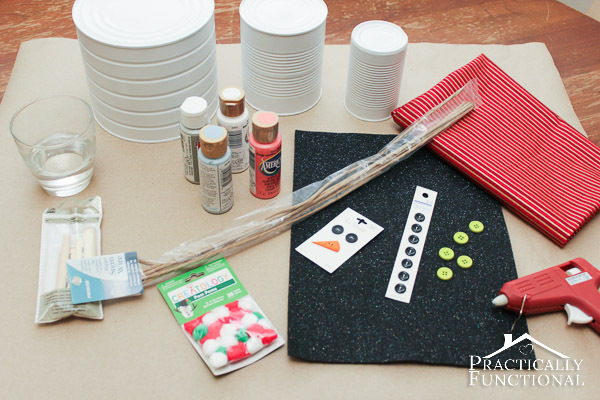 All that’s left is to assemble the tin can snowman, attach the hat, and put a scarf on it! Attach the hat to the snowman’s head with a bit of hot glue. I glued mine on at a jaunty angle, cuz look how cute that is! Then glue the tin cans on top of each other with the smallest at the top and the largest at the bottom. Make sure to line up the face and the coat buttons! The hot glue dried sorta yellow-ish, so I painted it with some white paint. Once the glue (and paint) is dry, cut a long thin rectangle of fabric for the scarf. Wrap the scarf around your tin can snowman’s neck and tie it. The scarf sat weird when I did this (it stood up completely flat against the top can, covering the snowman’s mouth) so I used a few dabs of hot glue to hold it down over the shoulders, giving it a permanent “ruffled” look. I sewed on a few jingle bells as a little embellishment, and voila! 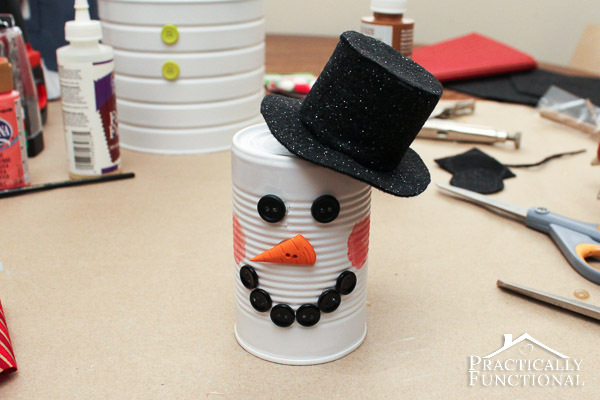 Adorable tin can snowman! If you’re looking for a few other Christmas crafts, check out these tutorials! How are your Christmas decorations going so far? 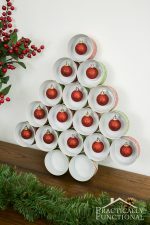 Recycled Tin Can Christmas Tree For Under $5! Aw, that’s so cute! 🙂 I love his button-nose. This is so cute, I might just have to try it! This is absolutely adorable! It is a perfect craft for making with kids, too. This is so cute! I’m thinking I will have to try this and fill with candy! Well, dang Isn’t he cute?! We save every jar and can we use and my kids will be stoked to make their own lil snowmen! Have a great weekend, girl! that snowman is so cute! Clever idea. Looks really cute! Super Cute! Would love to feature this on Reduce, Reuse, Upcycle. Feel free to stop by and grabe a featured button. Thanks! I absolutely love it… He is so festive and so Christmasy! Too cute, too clever, too bad the recycle truck picked up all my cans this morning! I love this recycle idea! So cute! I’m going to put that on my to do list for next Christmas for sure! What a cute idea! my daughters would love this – a snowman that doesn’t melt! This is such a cute idea!!! Glad you linked up at Romance on a dime. Your snowman is very cute!! I have never seen the carrot button set before! Nice tutorial, thanks for sharing again so people like me could catch it! So cute! I must make one next year 🙂 Thanks for sharing at Well Crafted Wednesdays! What an adorable idea, especially for kids! One of my favorites, a great up cycle and a super cute one, too!! How cute! Such a great job! This is just to cute. Great idea. I think I’m going to do this with my kids too. They will love it. Adorable! I love those snowman face buttons! That is a great way to reuse some of those cans in our recycle bin! 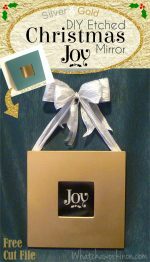 I saw that and the santa box, super cute! So stinkin’ cute! 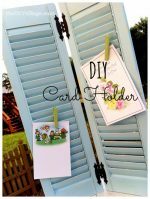 My kids would love this project! Too cute! My boys would love this! so adorable! my kids would LOVE this!! Hi Jess! Oh my, I just LOVE this! I love anything snowman and this is wonderful! Visiting from Tatertots & Jello – pinning! Thank you so much for sharing and hope you have a wonderful weekend! Thanks so much for stopping by Cindy, and thanks for the pin! 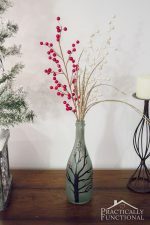 What cute & frugal little craft to add a little extra holiday cheer to your home. So cute! 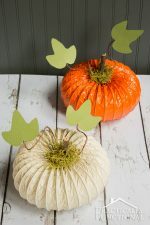 Fun project to do with my kids! Thanks for sharing at Take it On Tuesday! 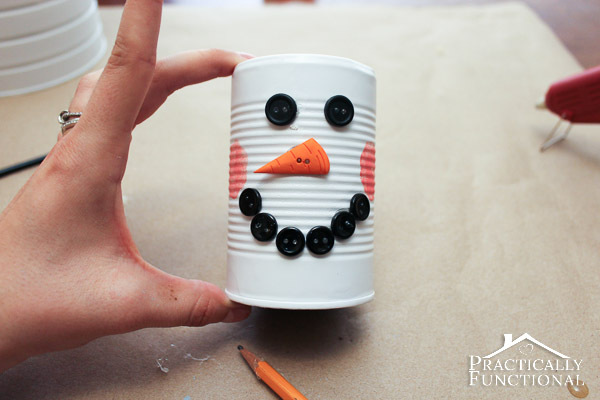 This Tin Can Snowman is so cute and easy to make with your thorough instructions. Who would have thought would have turned out so ‘Seasonal. Thank you for sharing.